Strategically situated at the heart of a well-planned and matured township in Bandar Bukit Tinggi 2, Trifolis Apartments is a part of WCT’s “Rumah Selangorku” housing development projects. Surrounded by various essential amenities, Trifolis Apartments features two blocks of affordable residential buildings with a built-up of 900 sq ft each unit and it is priced at only RM250,000*. 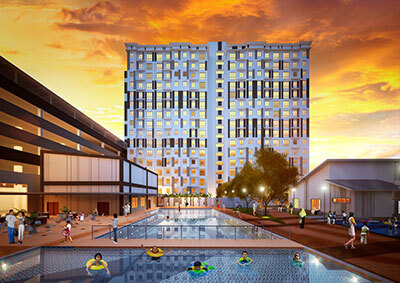 Comprehensive Lifestyle Facilities such as swimming pool, landscape garden, multipurpose hall and kindergarten.